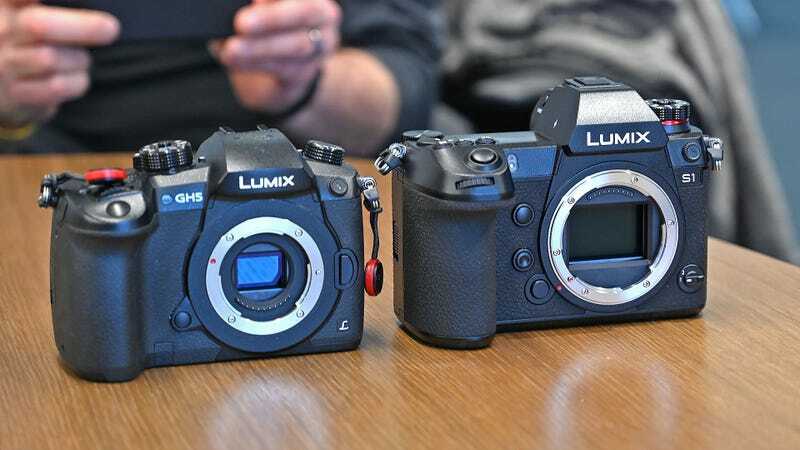 However, because Panasonic already had a fair bit of expertise with mirrorless systems thanks to cams like the Lumix GH5S and others, its path to full-frame is a bit different than its DSLR-making cohorts. So, on the new £2,200 24.2- MP Lumix S1 and the £3,400 47.3-MP Lumix S1R, Panasonic went hard to created a big, beastly new camera line aimed at pros, and then packed them full of pretty much every feature anyone might want. 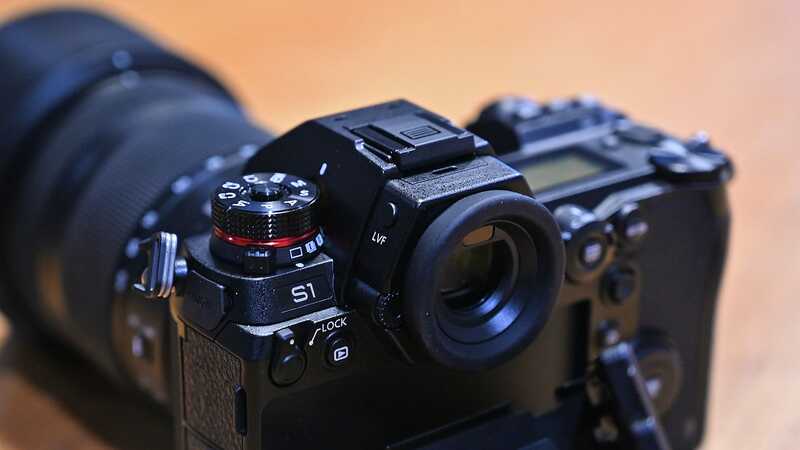 Because the Lumix S cameras are designed for pros, not only are the S1 and S1R certified to function down to 14 degrees Fahrenheit, Panasonic went out of its way to provide dedicated buttons for almost every major setting, and even made sure to use differently shaped buttons so you know which one is which just by feel alone. Of course, there are still a number of programmable buttons and customisable settings, but by default, almost everything is already at your fingertips. Even the new control stick feels faster and offers eight directions of movement instead of four like you get on some older cameras. And inside its menus, Panasonic has revamped its UI to show additional stats like battery life in percentages, and even a separate metric showing battery degradation. Panasonic also made it possible to save photo and video settings independently, so you don’t have to worry about constantly switching between various colour profiles depending on what you’re doing. But the real achievement on the S1 and S1R are their new sensors. 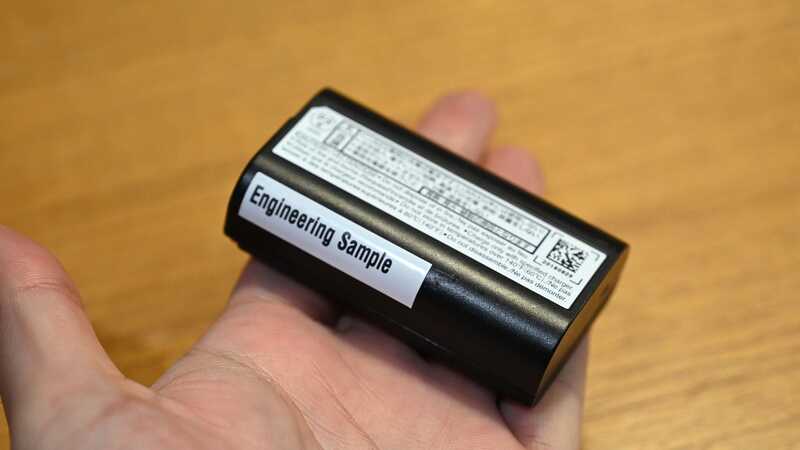 By combining in-body image stabilisation rated up to six stops, more precise gyro sensors, and a new Venus Engine image processor, Panasonic’s new camera should be on an entirely different level than anything the company has made before. 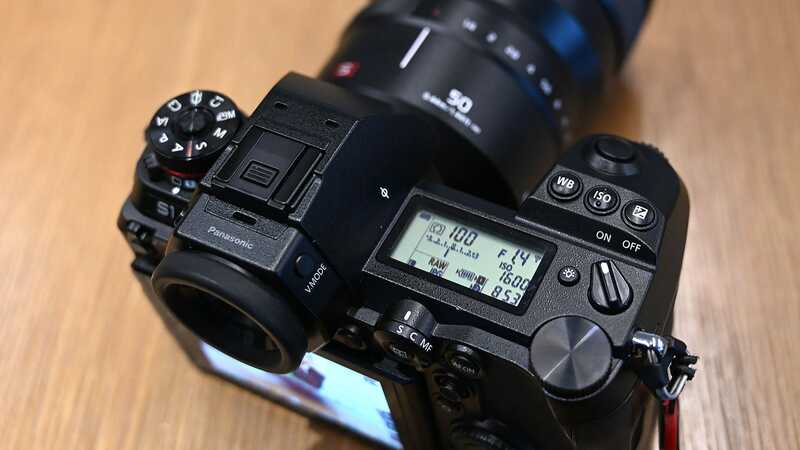 Another advantage of designing a new camera system from the ground up is that it allows Panasonic to increase the speed at which internal components communicate with each other. 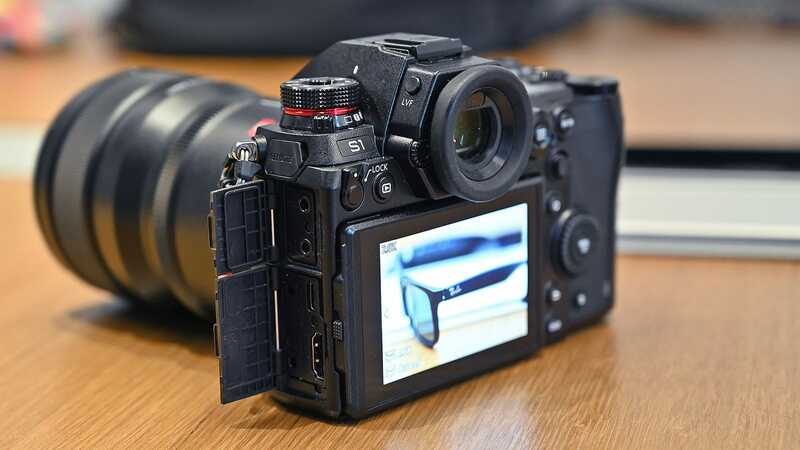 On its earlier Micro Four Thirds cameras, the lens and sensor bounced signals back and forth at 240 frames per second, but on the S1/S1R, Panasonic claims to have increased that to 480 fps. 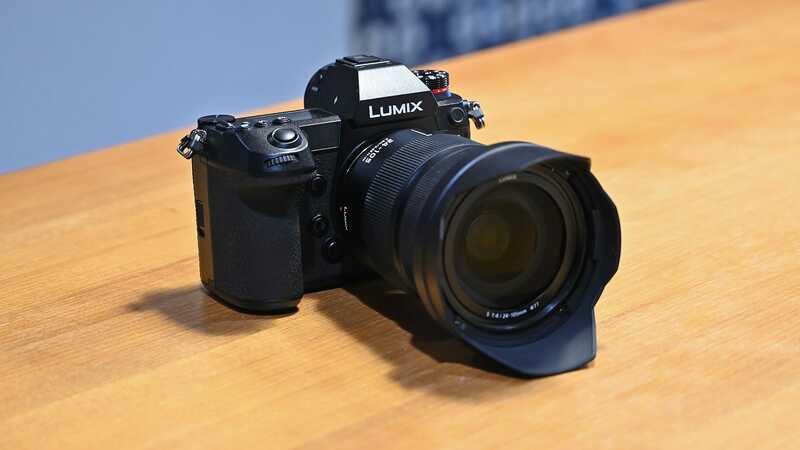 That, Panasonic claims, helps augment the camera’s autofocus to deliver focus speeds as little as 0.08 seconds – a far cry from the miserable speeds of the GH5 – which often hunts to focus. And thanks to enhanced subject tracking that works on eyes as well as most four-legged animals, the S1/S1R should have an easier time tracking things as they move across the frame too. 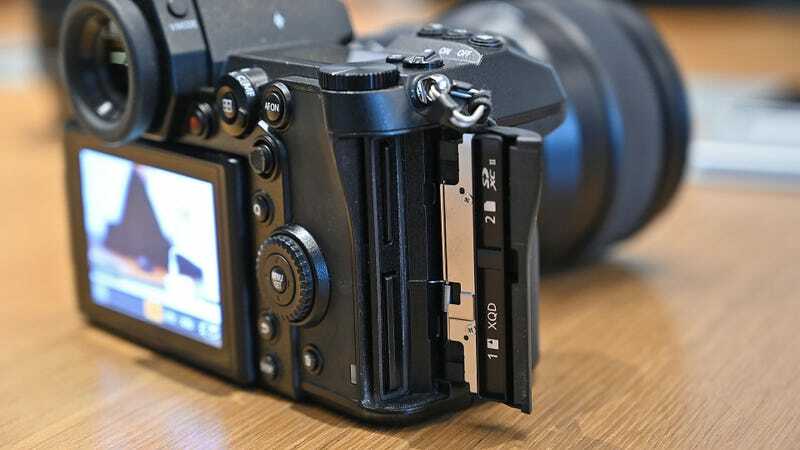 Meanwhile, in another jab at Nikon and Canon’s new full-frame efforts, both the S1 and S1R offer dual card slots. There’s a traditional SD card slot, but for best performance, there’s also an XQD card slot that Panasonic says will also support the CFexpress format whenever the protocol gets finalised. On the S1R, the camera’s RAW image buffer is 40 pictures, while the lower-res sensor on the S1 means it gets a larger 90 pic buffer. 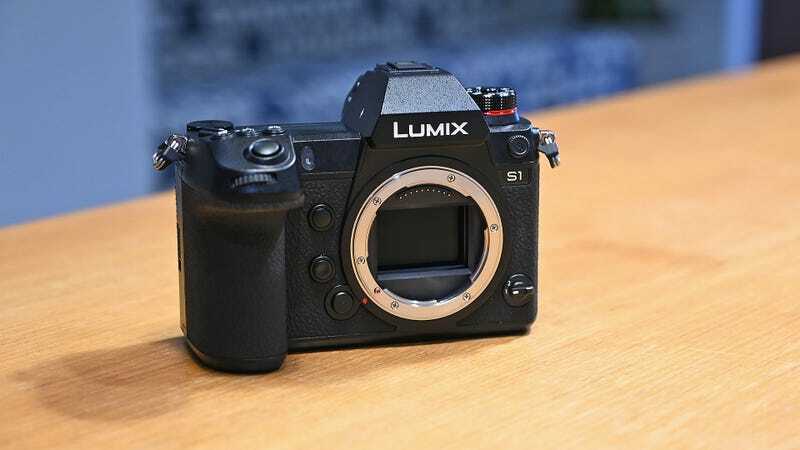 There’s also anti-flicker detection that should help prevent unwanted banding when shooting under LED lights, full 4K/60 FPS video recording, variable aspect ratios that can be set to 2:1 or an extra-wide 65:24 ratio, flat colour profiles when shooting photos and videos, and what Panasonic is calling I.S. Status scope, which is an overlay that shows you how much the camera is shaking in real time. There’s even a new highlight-weighted metering mode and two new auto-white balance modes to help capture more natural looking skin tones under a variety of lights. 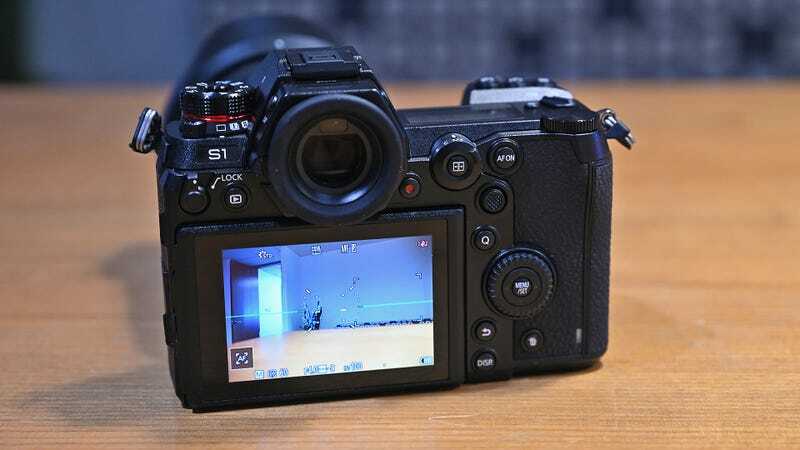 Of course, a new high-end camera body isn’t much without some quality glass. So alongside the launch of its Lumix S cameras, Panasonic is offering three new L-Mount lenses. There’s a £1,300 f/4 24-105mm zoom, a £1,750 f/4 70-200mm zoom, and a £2,300 f/1.4 50mm prime that Panasonic is touting as a reference grade lens. 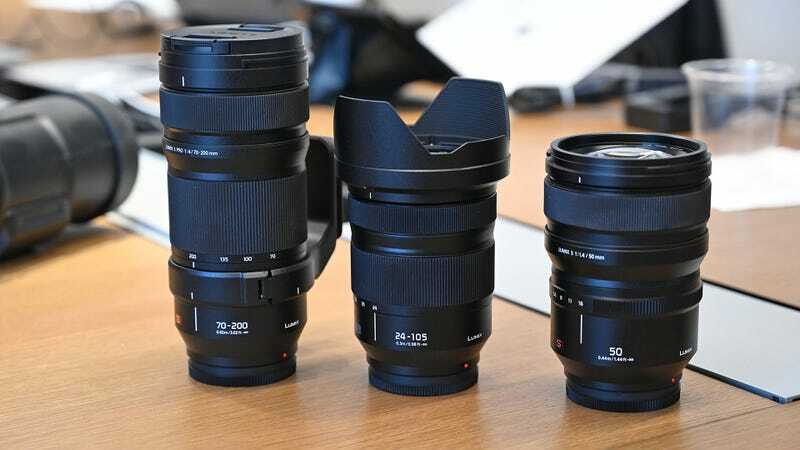 That’s not a ton to start, but Panasonic already has a road map of future lenses, and with Sigma and Leica serving as the other two members of the L-Mount Alliance, there should be more glass available for the S1 and S1R soon.